Y Not Festival returns this year with the UK’s biggest indie line-up, featuring rising stars alongside a range of musical icons. This year’s lineup will include anthemic rockers Elbow, who are crossing the Peaks to kick things off. The critically-lauded Manc band are known for their soaring anthems, establishing themselves as one of the great British bands since the release of their Mercury Prize-winning album The Seldom Seen Kid in 2008. 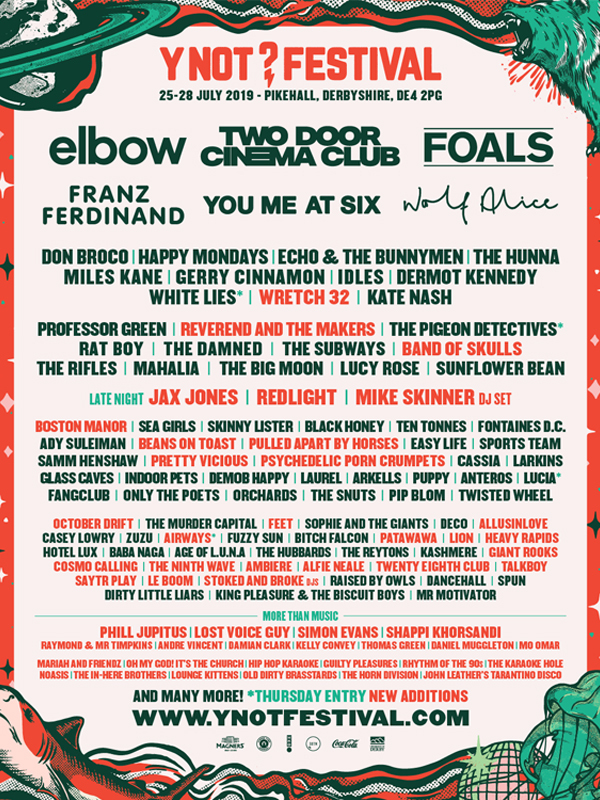 Irish indie trio Two Door Cinema Club have some unfinished business for Y Not Festival. As returning headliners, they’re bringing their A-game and some brand new bangers. Their first EP was released in 2009 and grew into a triumph with the success of single ‘Something Good Can Work’ – a song that continues to be an essential summer anthem nearly ten years on! Returning to the spotlight are alt-rock heroes Foals. They will be finishing what promises to be an unbelievable weekend of music. This year has seen them release two albums, the first arriving on March 8th and part 2 coming in the autumn. 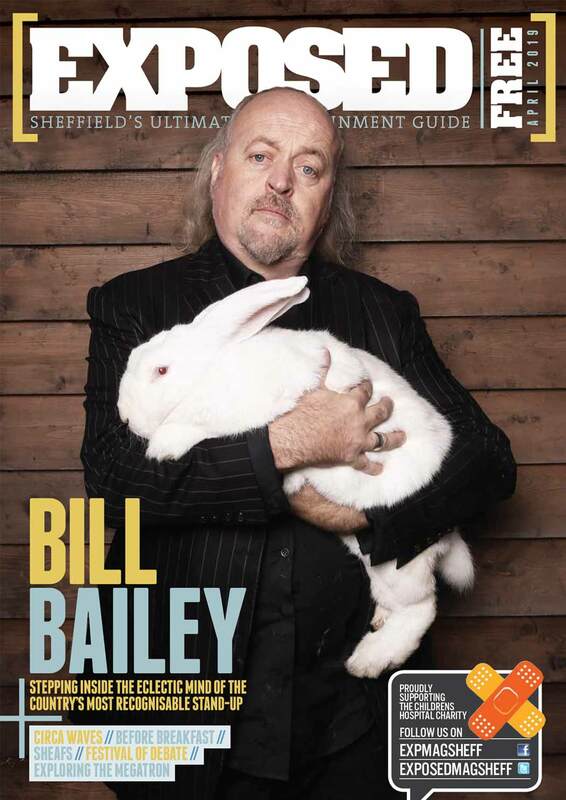 New additions to the bill also include Sheffield’s-own Reverend and the Makers, Wretch 32, Band of Skulls, Jax Jones and Mike Skinner. Back for its 14th year this summer, Y Not will be taking place in Pikehall, Derbyshire from 25th-28th July. In 2005, Y Not Festival began life as an over-spilling house party in deepest Derbyshire. With this came panoramic countryside views, a fully stocked bar of local ales, a mouth-watering selection of food and more live music than you can shake a stick at. Long may it continue! In addition to this spectacular lineup, Y Not are also placing a special emphasis on sustainability with their ‘Keep the Peaks Green’ campaign. This involves a Litter Bond: all bookings will include a compulsory £10 deposit, which can be redeemed when festival-goers hand in a bag of rubbish on site. Single-use plastics will be prohibited for traders, and 10p will be given for each cup handed in. The Pitch Village will also be introduced for the first time, where a tent will be provided for, set up and packed away for attendees, negating the possibility of tents being thrown away into landfill.